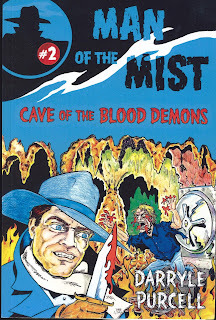 This is the second in writer Darryle Purcell’s new pulp series, featuring his Man in the Mist and the second of his books to land on my review stack. The first was part of his older series, The Hollywood Cowboy Detectives of which there are currently fifteen. The Man in the Mist is actually Los Angeles manufacturing industrialist Ralph Thorn. Trained by mystics in the Far East, Thorn can cloud the minds of men and blind them to his very presence, thus becoming an invisible avenger meting out justice to those beyond the law. As the adventure opens, it is 1938 and a poisoned drug is turning people into mindless killers. Helping the police investigate the source of the lethal drug, Thorn and his feisty secretary sidekick, Moxie Malone, discover the tainted heroin is actually being delivered hidden in small dragon statues imported by one of his own companies from Indochina. Determined to discover the actual source, Thorn, Moxie and Police Detective Farmisht are soon on a cruise ship bound for the Orient. With them is the lovely Cecile Nguyen, whose father runs the rubber plantation that services Thorn Industries. But danger is also along for the ride, as agents for the mysterious mastermind, known only as the Dutchman, launch several attacks on Thorn and his companions. The action never stops, as Purcell captures the speedy pace of the classic pulps while adding a healthy dose of comedic banter to ease the suspense along the way to his action packed finale. 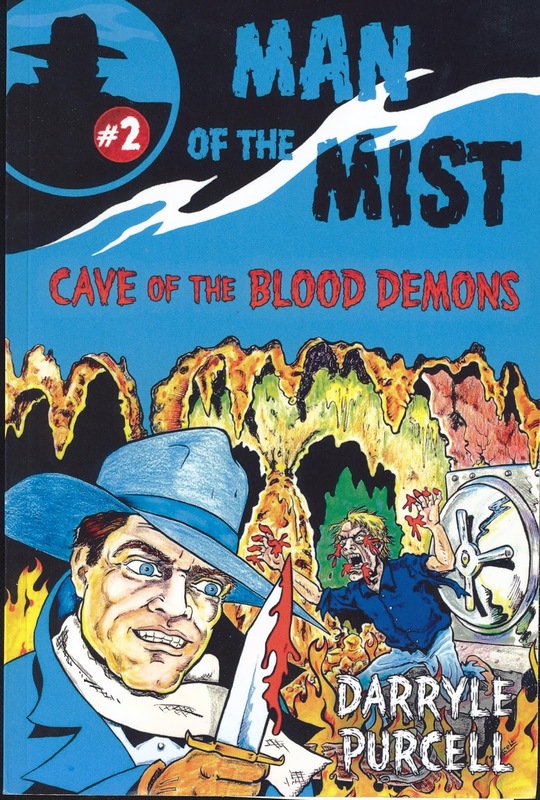 “Cave of the Blood Demons” is one hundred percent pure pulp fun and shouldn’t be missed. Thanks, Ron. I'm glad you liked it. My pleasure, Darryle. It's a really fun read.